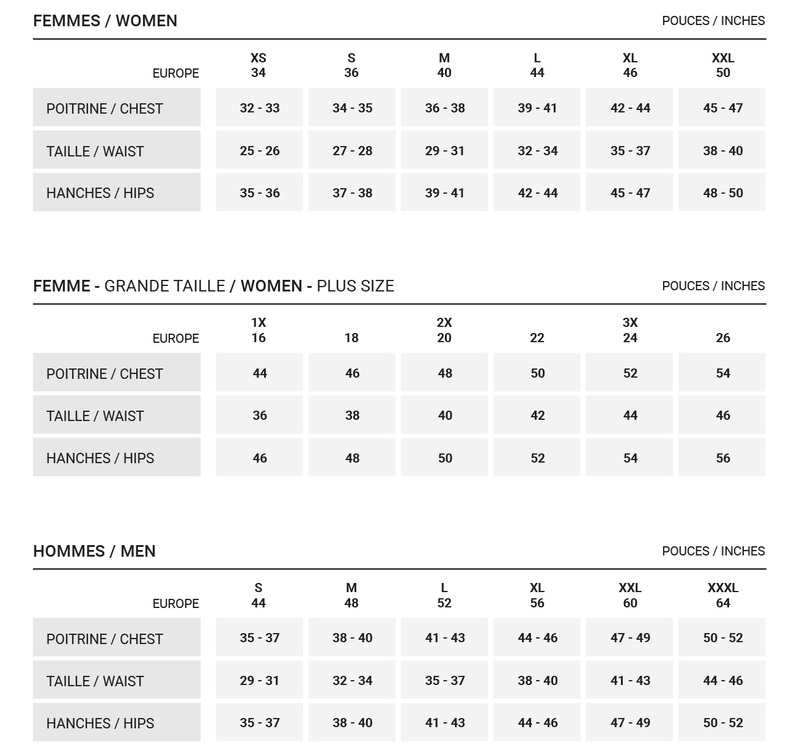 This size chart helps you find a jacket adapted to your silhouette. As a faithful winter’s companion, your jacket must provide you a warmth feeling and allow you to move freely, regardless of the situations and conditions. 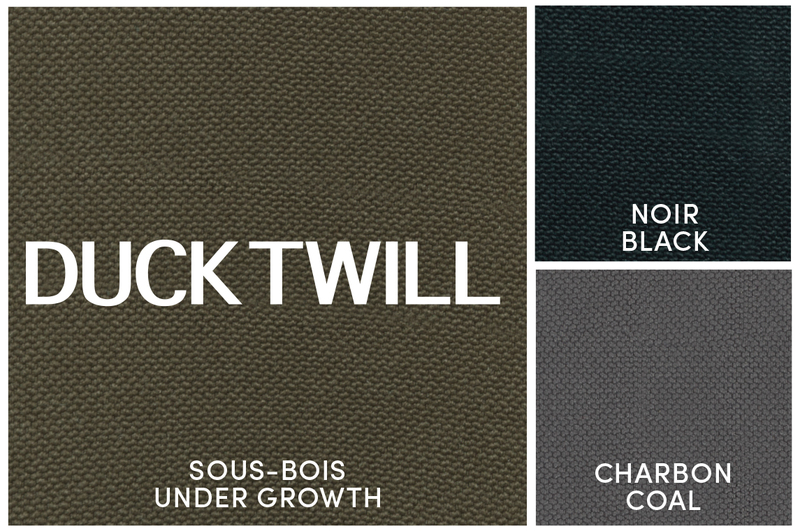 Carefully chosen, our fabrics protect you from the worst weather because of their technical qualities and their durability. 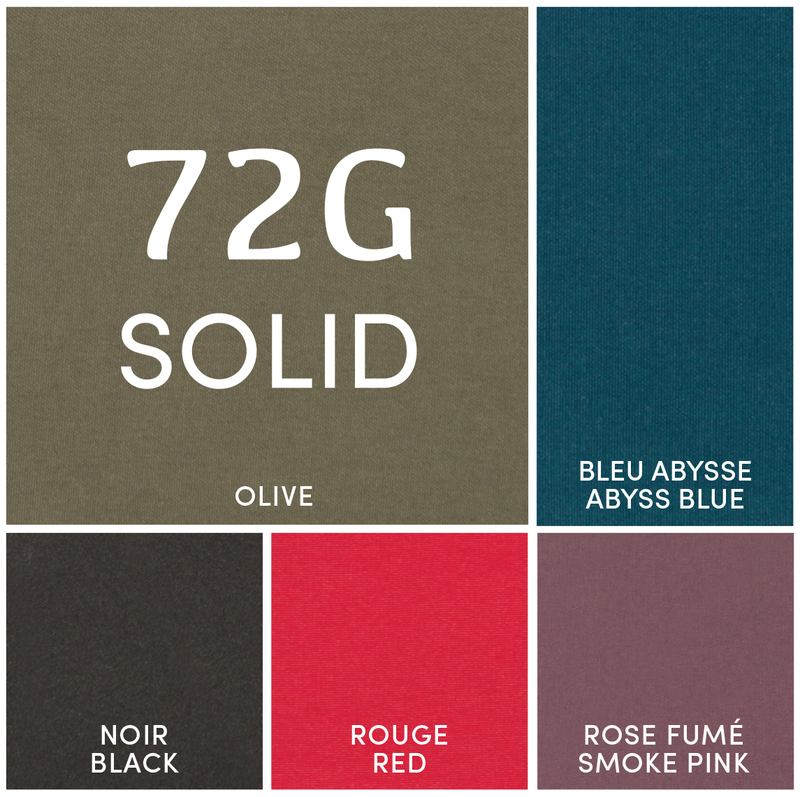 100% polyester, this fabric is made of a two colors’ blend. 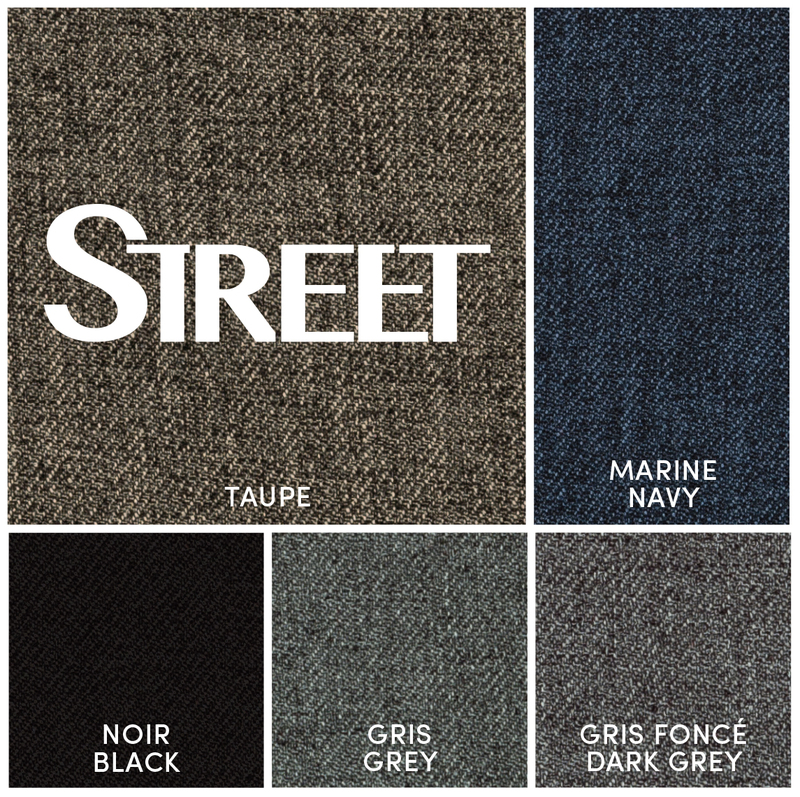 This polyester fabric is made of large fibers that give a textured and urban look. 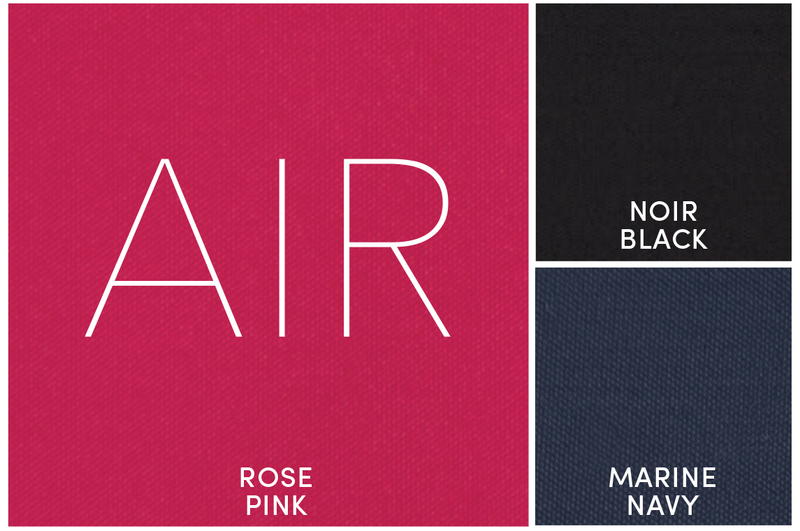 This fabric is made of two types of small polyester fibers that give a two-color’s look. This plain fabric is made entirely of polyester. Its small fibers add lightness and softness. 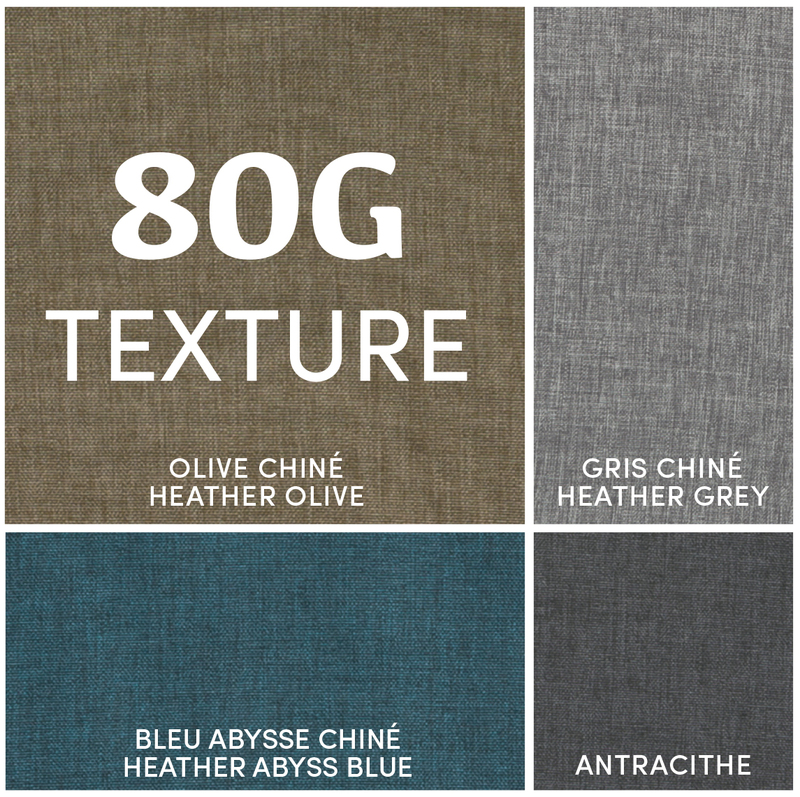 100% polyester, this fabric is a combination of large fibers that give strength and durability. The strength of nylon is its resistance, while its low weight ensures softness and lightness. The first number is measured in millimeters and indicates the fabric’s waterproofness. It is determined by the hydrostatic head test, which measures how much the fabric withstand water. During this 24 hours test, a piece of fabric is sealed in a chamber filled with water and under pressure. In the case of a 7K garment, 7 000 millimeters of water is used before droplets leak through. According to the International Organization for Standardization, a garment must tolerate 1 500 mm of water to be classified as waterproof. The second number is measured in grams per square meters and indicates the fabric breathability or the amount of water vapor in grams that can pass through a square meter fabric, during 24 hours. In the case of a 3K garment, 3 000 grams pass from the inside to the outside. Therefore, you must remember that the higher the coefficients are, the better is the jacket’s efficiency. All our fabrics are treated with a C6 water repellent finish that prevents the absorption of water in the fabric, so droplets bead off the surface. The term C6 means the length of the carbon chain used in the water repellent finishes’ chemical formula. We use this resistant and durable finish on all our jackets, because it reduces significantly the impact of fluorinated on the environment. Moreover, its water resistance ensures 80% efficiency after 20 washes (80/20). Performing and light, PRIMALOFT insulation can face the coldest temperatures. This insulation offers you the best warmth-to-weight ratio because of its thermal qualities similar to down and its light volume. Also, the small fibers’ hydrophobic properties keep you warm. PRIMALOFT insulation ensures greater breathability and dries quickly. We use exclusively BLACK PRIMALOFT’s quality because 60% of its content is from recycled material. Therefore, it represents a smart and a green choice, which reflect our values. THERMOFILL’s small diameter synthetic fibers trap your body heat while letting moisture escape. The result is increased comfort, combining lightness and freedom of movement. THERMOFILL’s 3D insulation combines all the benefits of THERMOFILL with a continuous fiber. It is bagged individually in baffled construction’s jackets, allowing more durable volume. The greater the volume is, the greater is the capacity to trap heat. Polartec Power Stretch: This high performance and stretchy knitted fabric keeps you warm and dry while maximizing comfort and freedom of movement. Its outer surface made of nylon has a low-friction finish that reduces irritation and provides higher abrasion resistance and better durability. Its inner surface made of brushed polyester creates mesh insert that evacuates moisture to the outside. Microsérie: 100% in polyester, this knitted fabric is made of small fibers, which represents a quarter of diameter of the merino wool. 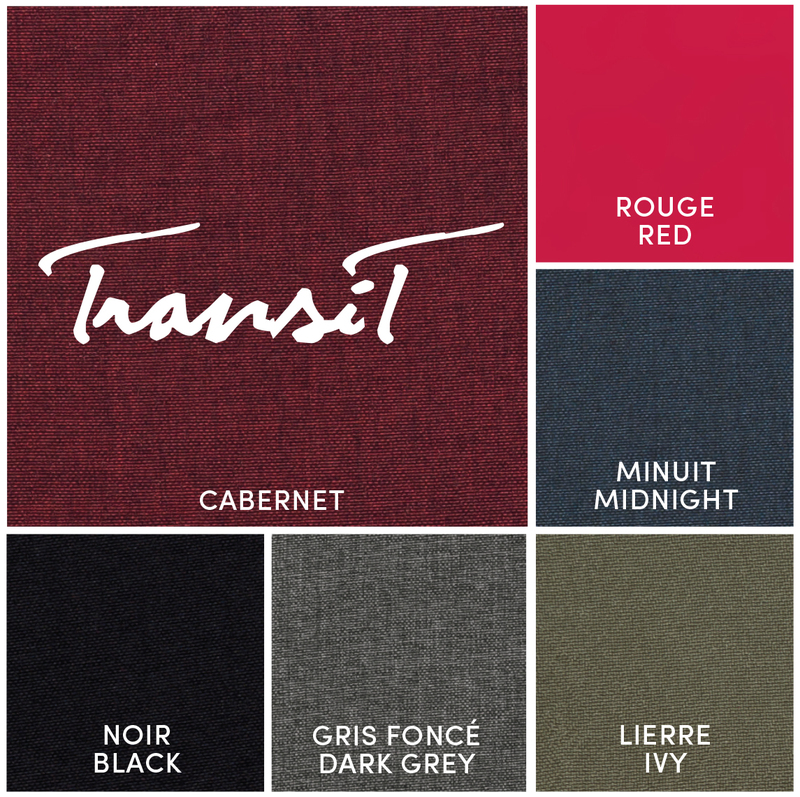 Microsérie garments ensure a maximum warmness with a larger air volume confined into two microfiber brushed faces. Airmesh: This knitted fabric ensures comfort and warmness during your outside winter activities. Made of 93% of polyester and 7% of spandex, its extensibility gives you freedom of movement. TECK-Air: This thermal underwear isolates you from the cold. This stretchy fabric is made of 93% of polyester and 10% of spandex. Its mesh insert ensures maximum breathability. Merino Wool: The merino wool has all the qualities required for outdoors activities: light, natural and anti-bacterial. It dries less rapidly than the synthetic fibers, but the merino wool can trap the warmth when wet.